Film has the Oscar, music the Grammy, science the Nobel Prize, but we have the Crystal Apple Award to recognize the heroes in our schools. This year, Mrs. Beth Caton of Moxee Elementary, has earned this prestigious title! 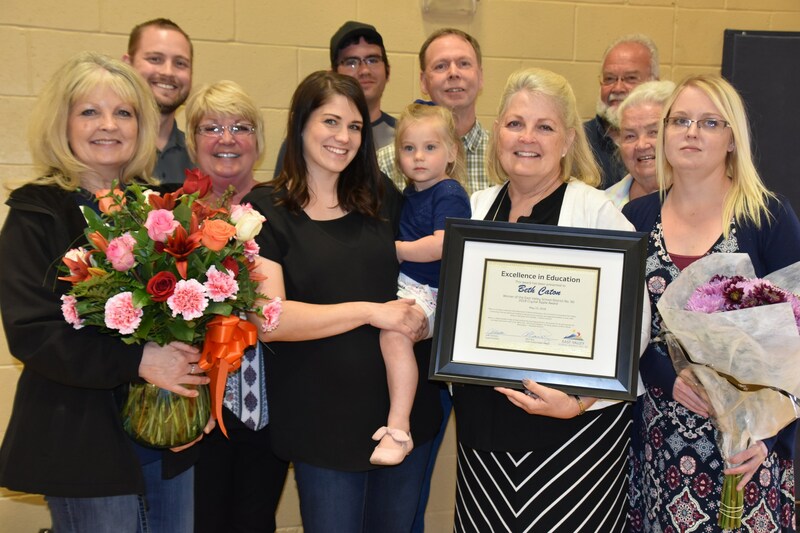 Please join us in congratulating Mrs. Beth Caton. Crystal Apple Announced 2018 from East Valley School District No90 on Vimeo. This year we had three nominees from three different schools. It is with pleasure that we announce the 2018 Crystal Apple Award winner.